Chocolate and Cherries Topped with Whipped Cream. Sensational! We love making these cupcakes for special occasions. A cupcake is the perfect dessert for a crowd since they come in their own little containers. Just pop them on a pretty plate and you are the baking hero of the day. Elfie is of German heritage so its little wonder that this recipe ended up on the blog. Cherries just happen to be one of her all-time favorite fruits. And chocolate, what can I say? You never go wrong using chocolate in a dessert. Just try to keep these treats away from her. I dare you! 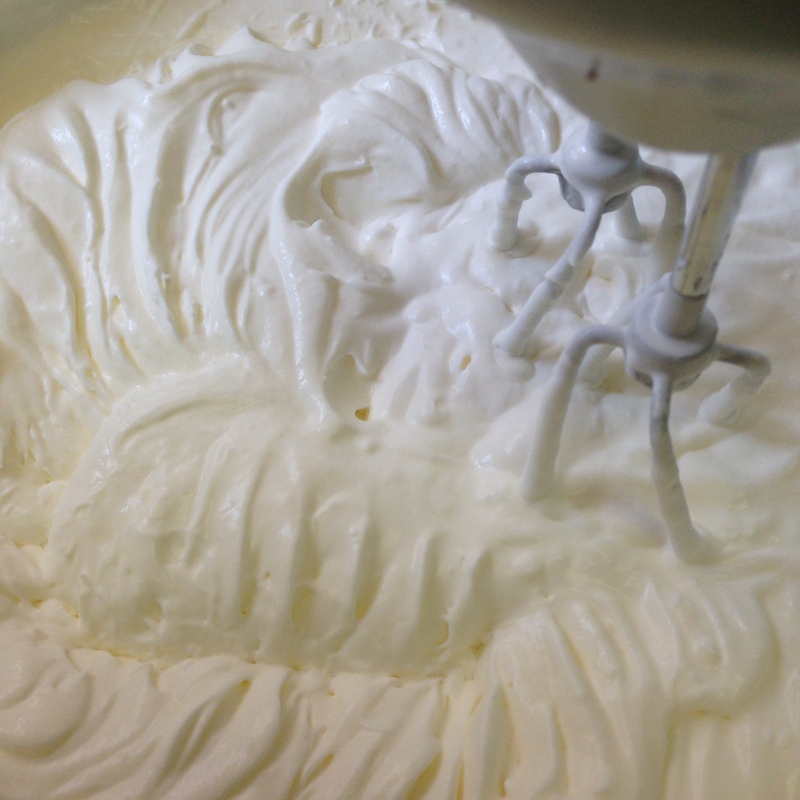 We like to use real whipped cream in our recipes. It is not a lot of extra effort to use fresh ingredients and the end result, from our experience is just “Better”. 2 Tbsp real chocolate chips melted to drizzle over whipping cream. This recipe is made using a chocolate cake mix. The reason is that the texture of the cupcake is so light. It’s hard to achieve that when baking from scratch. We’ve tried it but the truth is Duncan Hines has perfected the lightest chocolate cake you can produce and it makes the cupcakes perfect. One package of Devil’s Food cake mix is enough for 12 cupcakes. Bake using the directions provided. 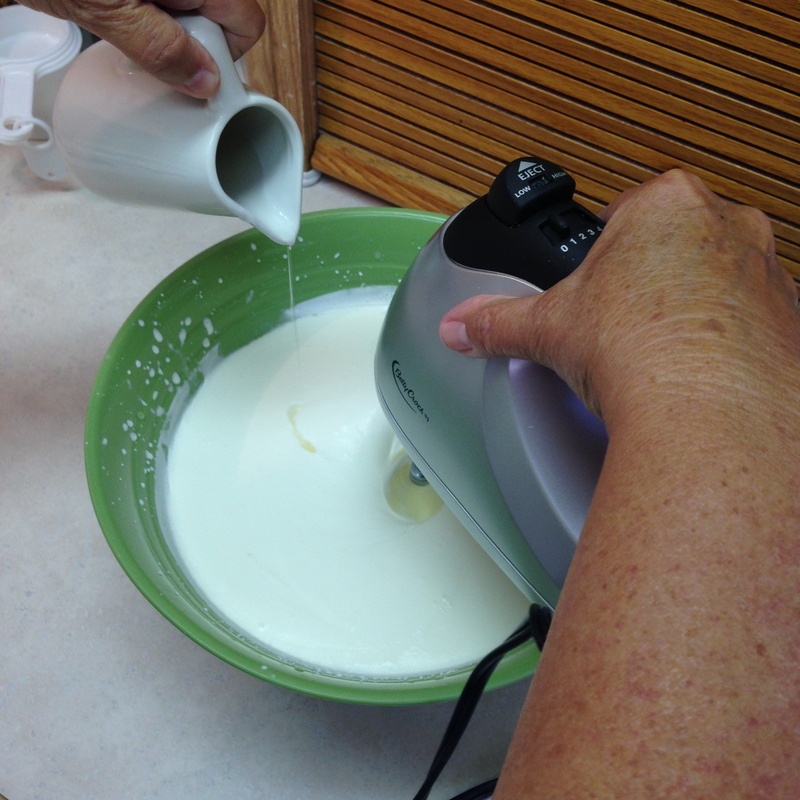 Whip the cream in a cold bowl using a hand or stand mixer. Beat it just until the beater leave swirls in the cream. DO NOT OVER WHIP. In a small bowl, pour 1/4 cup cool water over the gelatin powder and allow it to soften. After a few minutes add the 1/4 cup hot water to the gelatin and stir it well. Measure half of the gelatin (1/4 cup) to use in the whipped cream. DO NOT USE IT ALL. With the mixer on the lowest setting gently pour the gelatin into the whipped cream and mix just to incorporate. 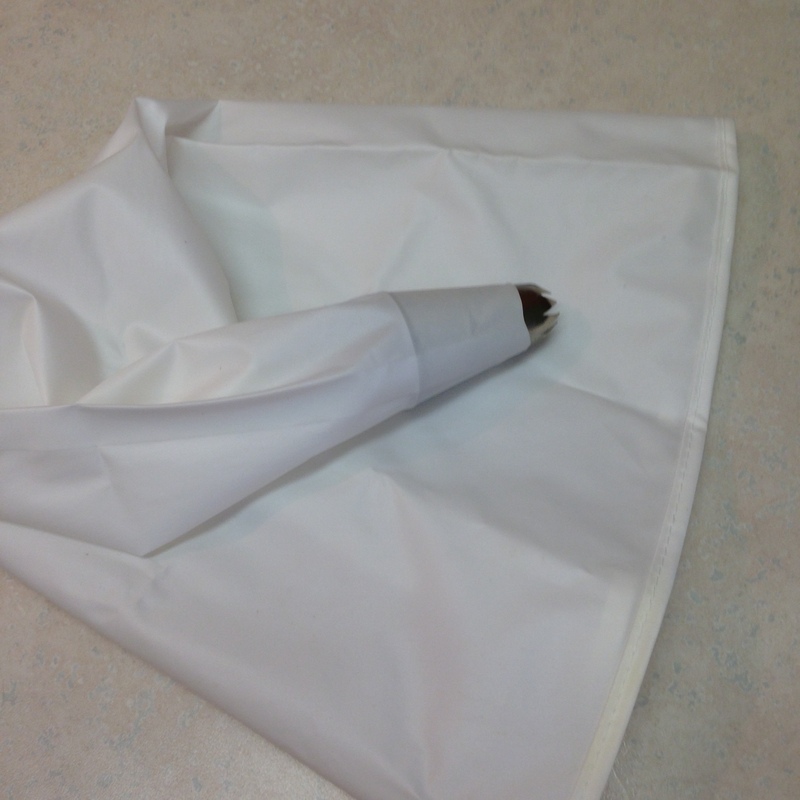 Place it into a piping bag with a large star tip and chill for 1 hour. 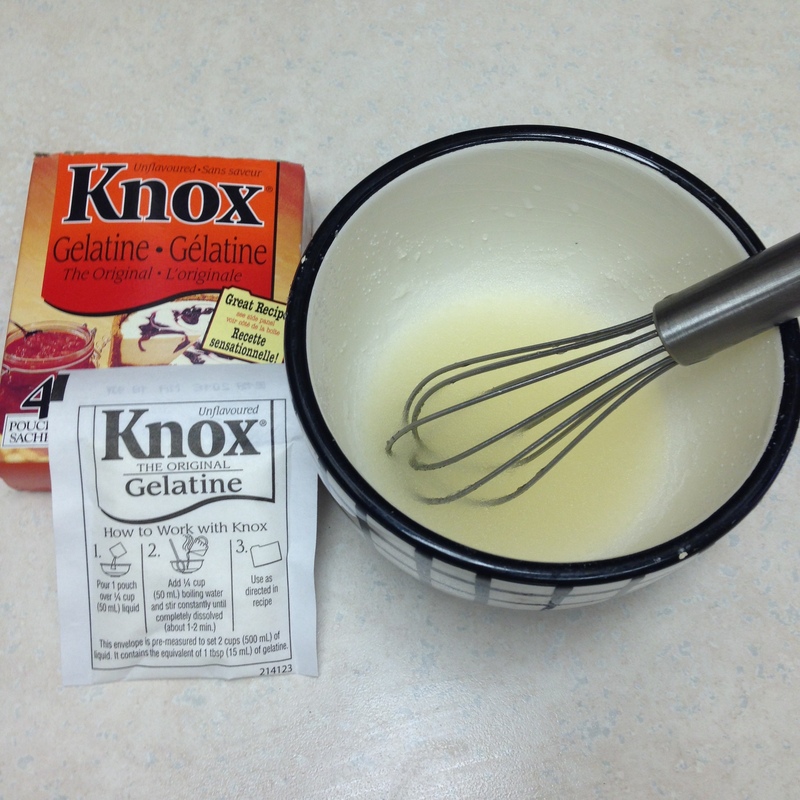 Cook’s Tip: Gelatin is simple to use and can help stabilize any liquid when making dessert. It’s easy enough for a novice to use and adds no taste to what you are making. 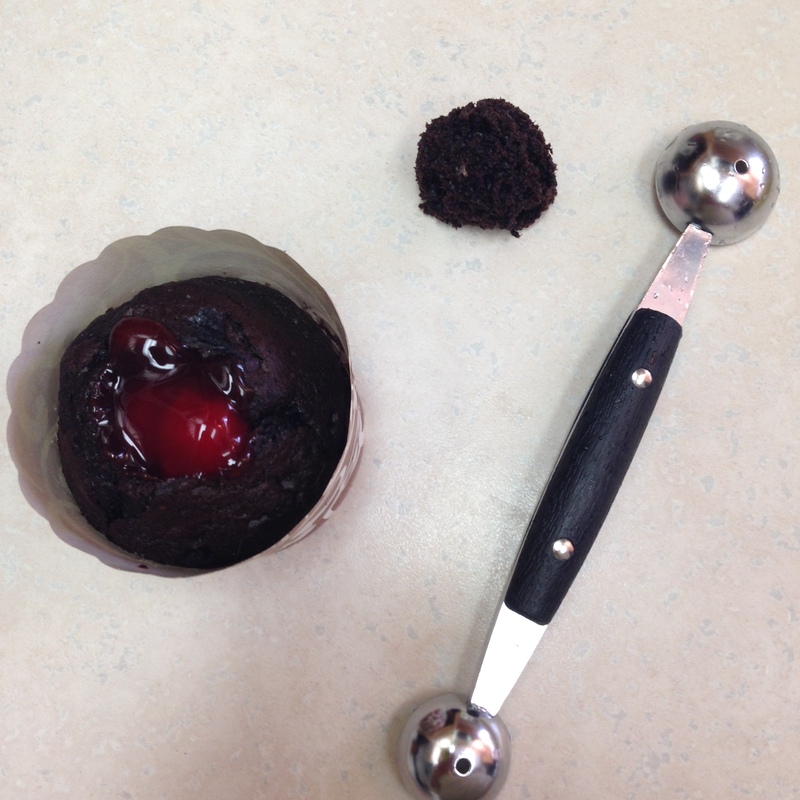 Once the cupcakes are cool, use a melon-baller or small ice cream scoop to remove the center of the cupcake. Fill just to the top of the cupcake with the Cherry Pie filling. Now pipe the chilled whipped cream over the cup cakes. Finally, place the chocolate chips into a sandwich bag and microwave for 30 seconds on half power just to melt the chocolate. ( you may need to do this a couple of times) Take care not to melt the bag. Cut the smallest tip off the sandwich bag and lightly drizzle the chocolate over the whipped cream. You’re all done! 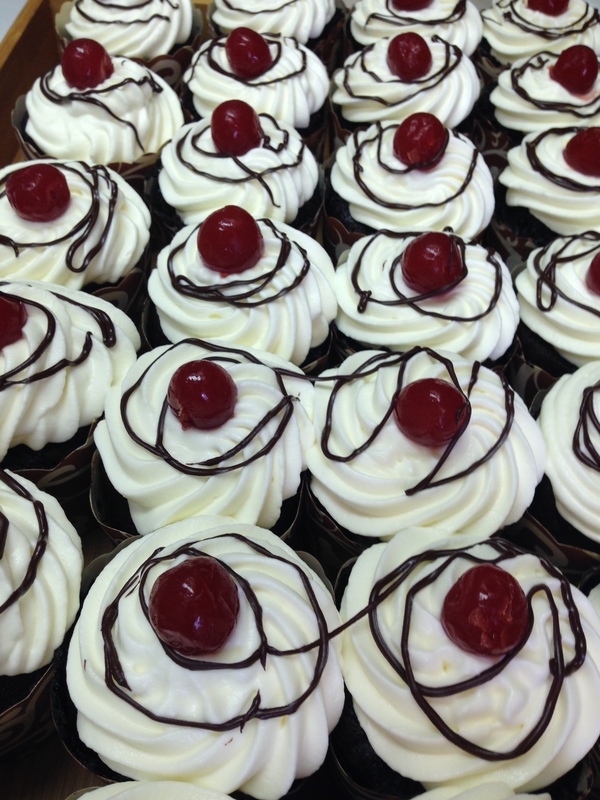 Look how great these individual Black Forest Cupcakes turn out! Your friends won’t believe you made them. And just wait till they get a mouthful of the luscious whipped cream mixed into the tart cherries and enveloped in the lighter-than-air cake. Heaven. We hope you give this recipe a try. A beginner can produce these results just by following the directions! This entry was posted in Desserts, Party Food and tagged Black Forest Cake, chocolate cherry cupcakes, chocolate cupcakes, cup cakes, homemade desserts, party food. Bookmark the permalink.